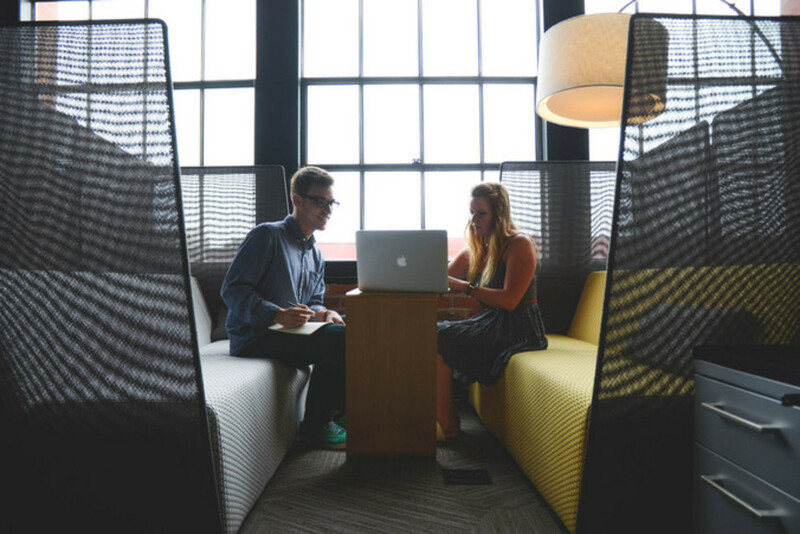 What is it that makes employees effective in their work? Many gurus and theories have pondered that question. Our Jos was one of them. In 2006, he jotted down three factors for work effectiveness on a scrap of paper: passion for the job, belief in yourself, and the motivation to grow. Goodness, could it really be that simple? The simple answer is: yes. Jos took the note to a professor at Utrecht University, and by now, the theory has been scientifically validated. The number of compasses filled in? The Dantefactor Compass was for me an easy way to get insight around what gives me energy in the job. The most exiting is the contact with Jos and Maaike afterwards. They help us to shape our company in an inspiring and effective way what forms the anchor for our employees. 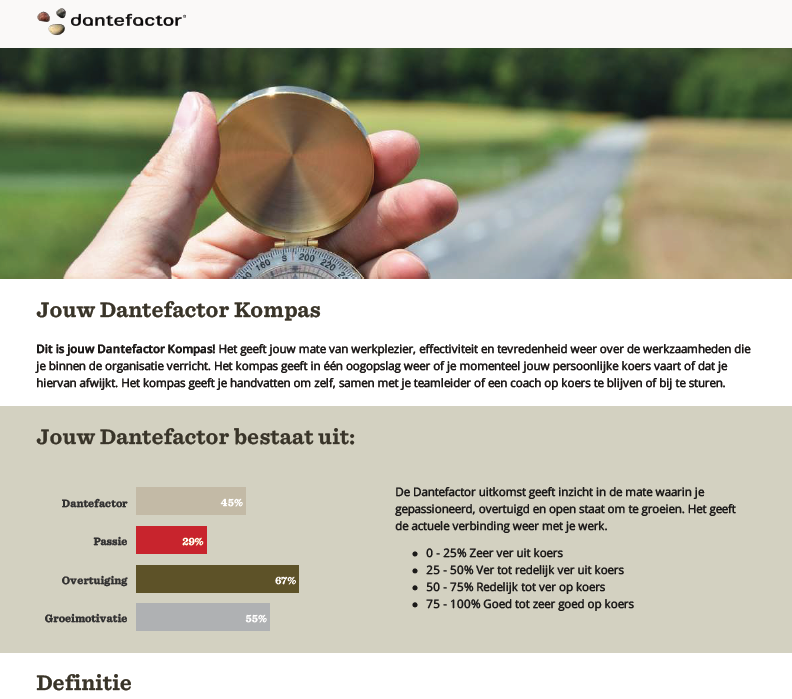 The Dantefactor Compass has significantly improved the quality of leadership in our property. For us the Dantefactor Compass is the key handle to provide better results, working conditions and joy in work. 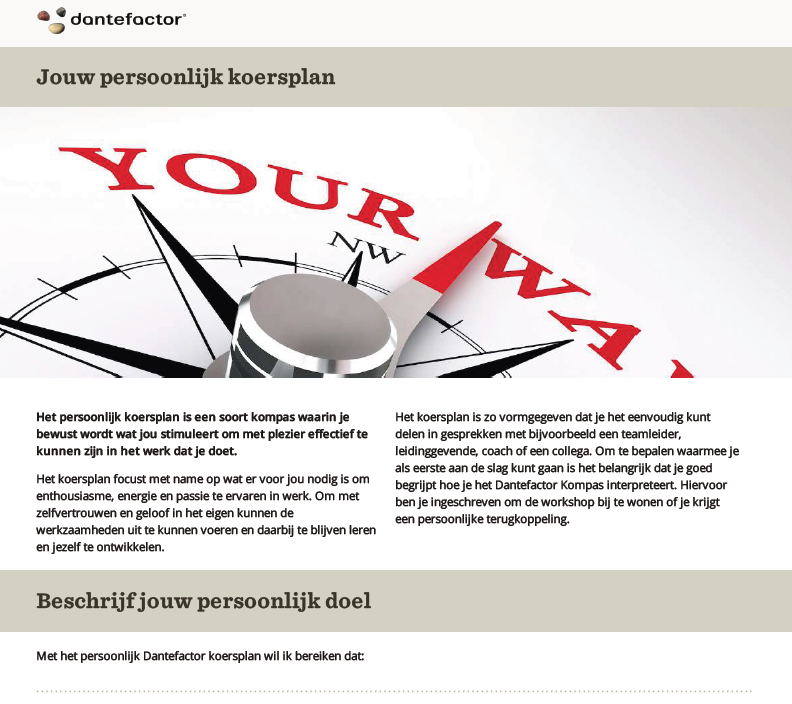 Fill in your application, and you will receive your own free personal Dantefactor Compass login. If you are willing to share your experience with the Dantefactor Compass, and the value dialogue, please give us your phone number, then we will contact you!